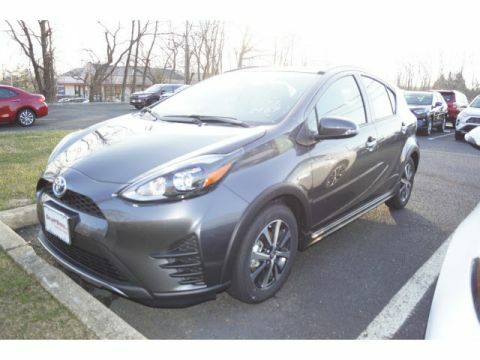 Only Only 1 Prius c L left in stock! left in stock! L trim, MAGNETIC GRAY METALLIC exterior and GRAY/BLACK interior. CD Player, Bluetooth, ALL-WEATHER FLOOR LINER PACKAGE, Alloy Wheels, Back-Up Camera, iPod/MP3 Input, Hybrid. FUEL EFFICIENT 43 MPG Hwy/48 MPG City! SEE MORE!======KEY FEATURES INCLUDE: Back-Up Camera, Hybrid, iPod/MP3 Input, Bluetooth, CD Player, Aluminum Wheels. Rear Spoiler, MP3 Player, Keyless Entry, Steering Wheel Controls, Child Safety Locks. ======OPTION PACKAGES: ALL-WEATHER FLOOR LINER PACKAGE All Weather Floor Liners, Cargo Tray. Toyota L with MAGNETIC GRAY METALLIC exterior and GRAY/BLACK interior features a 4 Cylinder Engine with 99 HP at 4800 RPM*. ======VEHICLE REVIEWS: Great Gas Mileage: 48 MPG City. 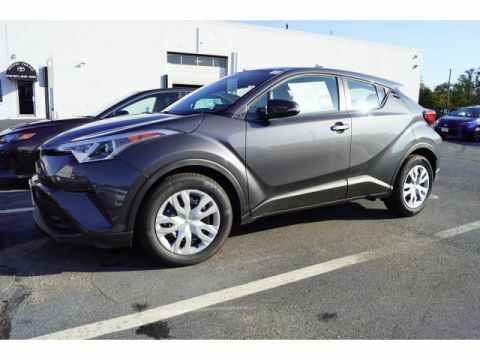 ======OUR OFFERINGS: Here at Galaxy Toyota one of the NJ Toyota dealers our mission is treat every visitor like an honored guest in our home but to the great Toyota customers we serve it is much more than a mission statement. Our New Jersey Toyota customers quickly learn that shopping at Galaxy Toyota means being treated with respect, not having to negotiate or visit multiple New Jersey Toyota dealers to get the price you deserve. Horsepower calculations based on trim engine configuration. Fuel economy calculations based on original manufacturer data for trim engine configuration. Please confirm the accuracy of the included equipment by calling us prior to purchase.